Recently I went on pilgrimage. In the literal sense, a pilgrimage is a journey or search of moral or spiritual significance. Typically, it is a journey to a shrine or other location of importance to a person’s beliefs and faith, although sometimes it can be a metaphorical journey into someone’s own beliefs. The idea of pilgrimage is found in all religions. In my case, the pilgrimage was to Poland. Thirty-three people, including a Catholic priest and nun, journeyed to the holy sites of that humble country. Together we traveled in the footsteps of three inspirational twentieth-century Polish figures – Pope St. John Paul II, St. Faustina, and St. Maximillian Kolbe – who lived and died in heroic virtue, mainly against the backdrop of the atrocities of World War II. It’s interesting to note that a pilgrimage is not just a physical journey. It is, perhaps more importantly, a journey into the deep recesses of your heart. Pilgrimage involves a process of self-reflection and spiritual growth as you ponder the virtue of men and women who spent lives of service and self-sacrifice for the good of others. Pilgrimage should foster conversion to a better self, to a better way of being in community with others. 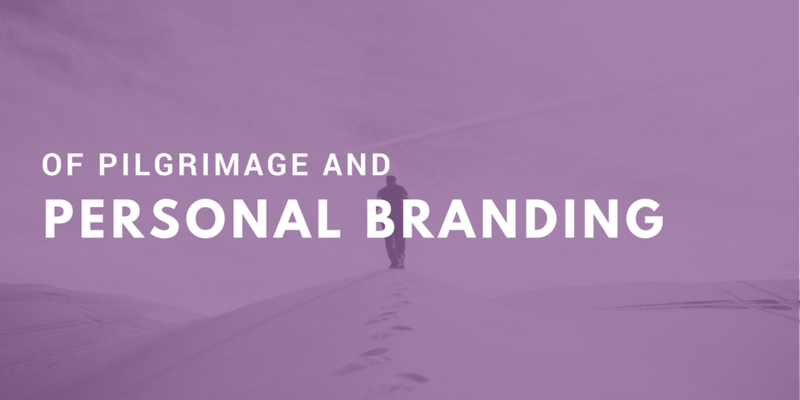 Personal Branding begins with retracing your life journey to identify the significant events and accomplishments that define your present identity. Personal Branding involves a journey into your heart to discern the priorities and values that define your character. Personal Branding challenges you to recognize the significant mentors and teachers, past and present, who have passed onto you their wisdom and insight. Personal Branding demands that you understand your unique gifts, talents and strengths that drive your contribution in creating something good in this world. Personal Branding calls for you to make a promise – a declaration that you are who and what you say you are, and that you will continue to transform into a better version of yourself as you move forward with your vision, your goals, your hopes, your dreams. If you have not yet reflected on what your Personal Brand looks like, consider going on pilgrimage. Take the next few weeks to consider how your life’s journey relates to the five elements listed above. Then, in my next blog, you can explore with me a little more fully how each of those elements coalesce into your own unique Personal Brand. Note: Purple Ink offers a one-hour training workshop on Developing Your Own Personal Brand. For more information and/or to schedule a workshop for your organization, contact me at: denise@purpleinkllc.com; 317-645-8216.